Do you know any kids ages 5-13 who love writing and sharing stories? They might love to participate in Storytellers’ Studio: After-Camp Care! Over the course of this five-day program, kids get to collaborate with other campers on a group story and adapt it into plays, songs/raps, and comics. 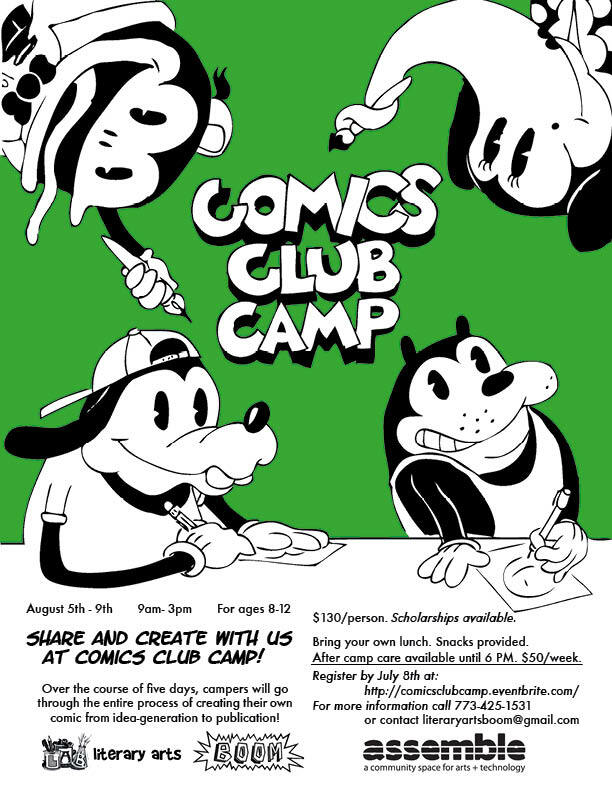 I’ll be facilitating the comics making. I’m really excited to be part of this program and can’t wait to see what we all cook up comics-wise! 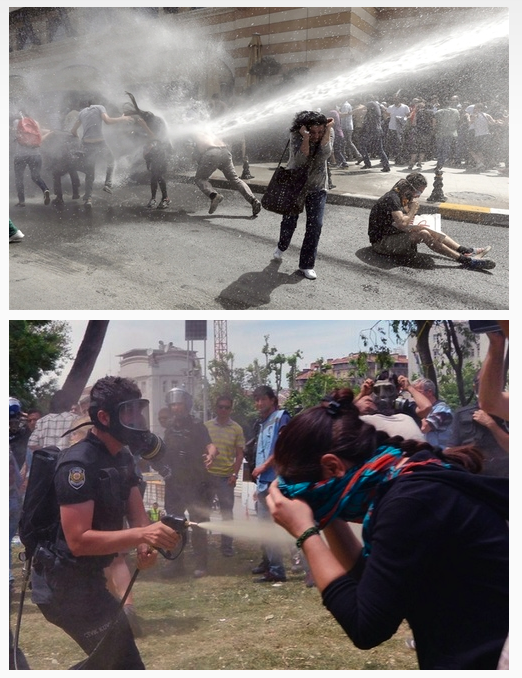 For more information about the program, visit the Facebook event page. If you know somebody who might be interested in this, I’d love for you to pass this along their way. There’s things you can’t do with words and there’s things you can’t do with pictures, that’s what’s so exciting about the form. It’s constantly pressing against your limitations. A veteran self-publisher, Rachel Masilamani has been making comics in the United States since 1997. Her first comics collection, RPM Comics #1, received a grant from the Xeric Foundation and was named “Best Comic Book” by the Baltimore City Paper. Since then, her comics have appeared in Meathaus, Street Runoff, Graphics Classics, The Indiana Review, in other anthologies and in her own publications. An accomplished story teller, Masilamani is hard pressed to categorize her work. Endlessly fascinated with people, Masilamani draws inspiration from her own life and the behaviors of those around her to create stories that burrow themselves deep into the minds of her readers. Her stories elegantly blend naturalistic storytelling with expressionistic visual representation. Although Masilamani grew up reading newspaper comics, she didn’t start making her own comics until she was a student at John Hopkins University in Baltimore, MD in the late nineties. Her first formal forays into the medium were under the guidance of Baltimore based cartoonist and instructor, Tom Chalkley. One of the stories made under Chalkley’s guidance, Pen Bandit, appears in Masilamani’s first collection of comics, RPM #1. Originally planned to be a short film that she wanted to propose to John Hopkin’s film club, Masilamani decided to make Pen Bandit a comic on her own to avoid the inevitable frustrations she foresaw of having to compromise her vision. After she graduated from John Hopkins University in 1999 with a degree in Anthropology and a minor in Art History, she didn’t go looking for a job or head off to graduate school, rather she attempted to make cartooning a full time job. 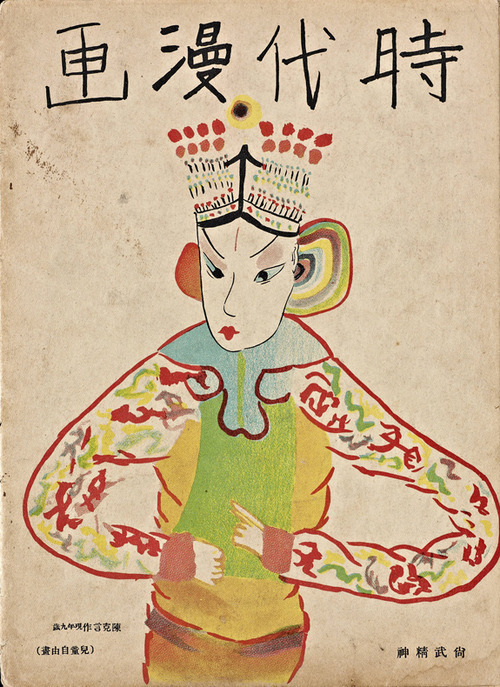 For months she dedicated herself to improving her cartooning and honing her ability to translate her observations to paper. It was a bold move as a young cartoonist. Her efforts paid off when she received the Xeric Foundation Grant. The grant provided her with $5000 to print and distribute her first collection of comics, RPM #1 in 2000. With the help of the grant, she hit the ground running. 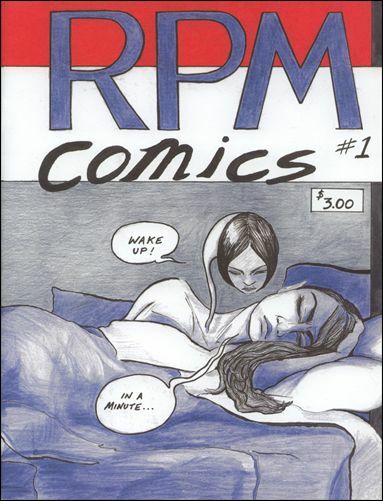 The first issue of RPM featured uniquely original, personal stories, carefully rendered in pencil and pen & ink. Though the work might not have been fully developed, it was a promising collection of stories that offered a fresh perspective. 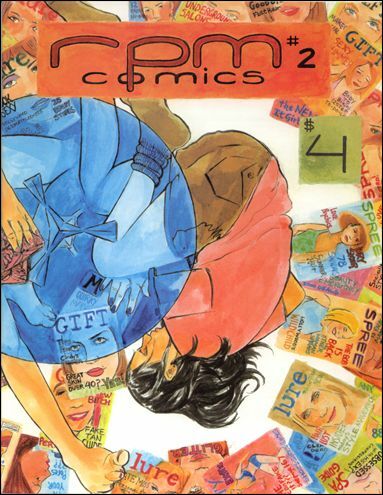 After continuing freelance work and putting out the occasional minicomic, Masilamani published RPM #2 in Baltimore. RPM #2 retained the same ingenious sense of observation and personality that made RPM #1 stand out, but revealed the hand of an artist who had tighter storytelling mechanics and a greater confidence in draftsmanship. Comprised of memoir, folk tales, and urban fantasies, the variety of genres in RPM #2 placed Masilamani’s narrative chops center stage. After publishing RPM #2, life caught up with Masilamani. Though she’d given the life of a free-lance cartoonist and illustrator a go, it wasn’t meant to be. Masilamani returned to school to study Library Science and began a series of relocations that wound up taking her to Pittsburgh, PA. During this time, Masilamani slowed down her release of comics. While it would seem that Masilamani had taken a hiatus from her cartooning, the truth was that she continued to work and re-work new comics privately. 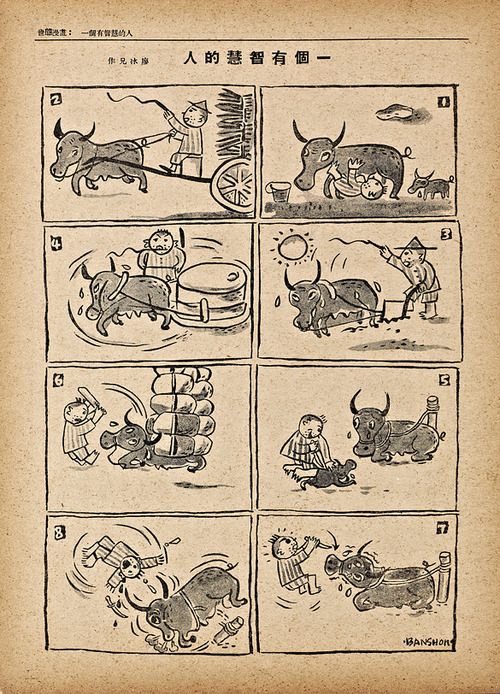 This new period of cartooning saw Masilamani put out two self-contained mini-comics, Singing Contest and Las Cuerpas. While both stories take place in the same physical landscape, the Mexican-American border, Singing Contest and Las Cuerpas explore radically different emotional landscapes. 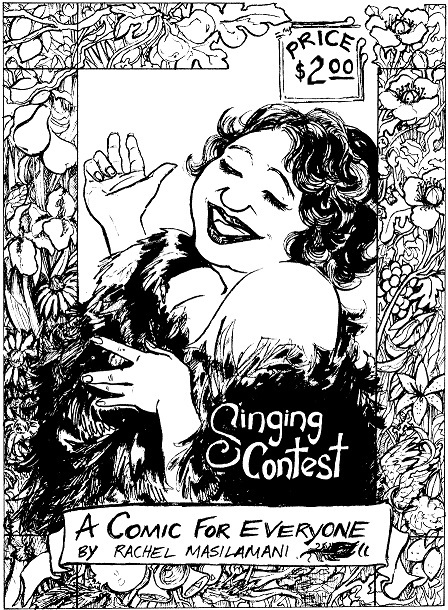 Singng Contest tells the story of a young woman who leaves her home to participate in a televised singing contest. 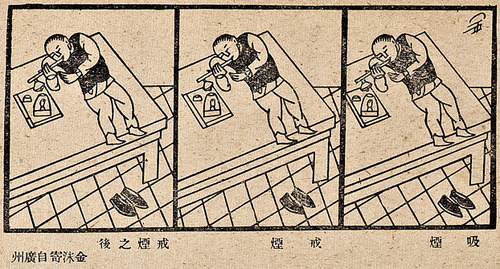 The comic is a playful experiment that cleverly uses the iconographic power of the comics medium. In Singing Contest, Masilamani allows the animals that aid the protagonist on her journey to speak in words, while all of Masilamani’s human characters speak in icons. As a result of this formal decision, Masilamani creates a smooth, but idiosyncratic reading experience that lends the story an air of heartfelt whimsy. 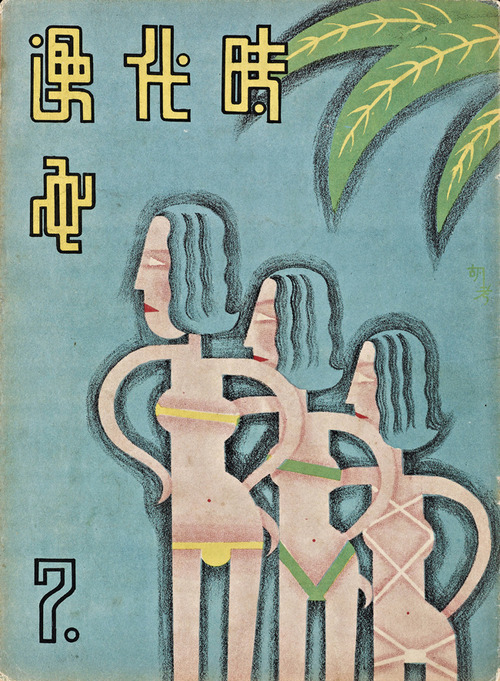 Las Cuerpas, which Masilamani published in 2010, is much heavier. It deals head on with the femicides of Ciudad Juarez Mexico. A wordless comic inked expressively in pen and ink, Las Cuerpas swiftly moves across the city of Juarez and builds to a feverish crescendo. Las Cuerpas is the result of Masilamani living in New Mexico and experiencing first hand the constant news about women and girls being murdered in Ciudad Juarez with no discernible follow up. Though at the time she felt powerless to do anything about the murders, Masilamani couldn’t stop imagining that something could make the femicides unignorable. Las Cuerpas is her attempt at making the horrors impossible to ignore. Since Las Cuerpas, Masilamani has self-published two more collections of stories, Odds Are in 2012 and No Words in 2013. The two collections document a graceful evolution in the poetry of Masilamani’s story telling. Odds Are contains 9 stories, each of which, in their own way, experiment with the semiotic relationship between words and pictures. Comprised of explorations of sensory experience, feminine identity and gender politics, Odds Are shows Masilamani handle extremely nuanced material. No Words consists of 3 longer stories, which focus on semiotics and trust, race and ethnicity, and urban disenfranchisement. In these stories Masilamani allows herself more time to slowly create dense, inhabitable yet challenging narrative spaces. These stories, though rooted in traditional narratives, make one think of the comics poetry of Tom Neely and John Hankiewicz, mainly because of Masilamani’s mature poetic, highly symbolic, dense and at times abstract, language that takes readers out of their comfort zones. Attentively tuned to the mechanics involved in the co-mixing of abstract languages, Masilamani achieves a certain alchemy with these comics. It’s thrilling to read. One hopes to see more comics like these from Masilamani because it is a joy to see her revel in the liminal spaces of comics. You can purchase Rachel Masilamani’s work online from her site, RPM Comics.